Cenergy Solutions is using ANG storage technology in many applications including but not limited to vehicles, biogas plants, stationary storage, virtual pipelines and the replacement of LPG tanks with ANG tanks. Cenergy Solutions has ANG storage available for small applications small 22 liter tanks. Additionally we offer up to 50 cubic meter tanks or up to 4,000 cubic meters of natural/biogas stored in one tank depending on the application the storage is needed for. Our technology allows you to store 3 to 6 times more natural/biogas in ANG tanks as you would in the same size conventional CNG cylinder at the same pressure. We can also convert your existing CNG cylinders/tanks into ANG cylinders/tanks allowing you to store a lot more natural/biogas in the same tank. 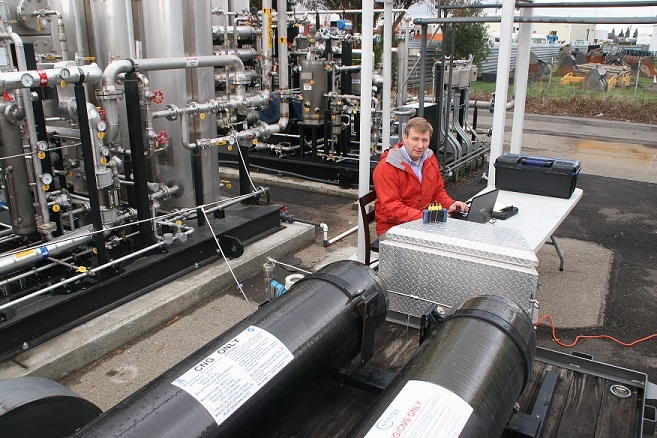 Our ANG technology has opened the door for many applications of natural/biogas storage. If you need natural/biogas storage for your generators, vehicles, power plants, biogas facilities, sewage plants, landfills, fueling stations or any other application we can help you with our efficient and inexpensive ANG solution. We have tanks in stock or we can have them custom made for your application and specifications. Depending on the adsorbent material used, you can store natural/biogas at pressures between 100 – 5,000 psi. 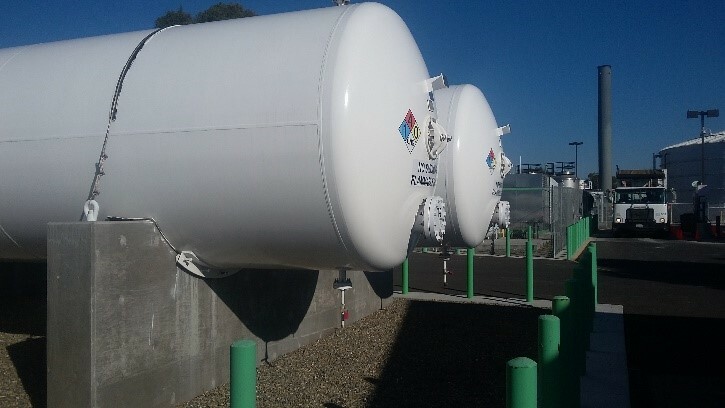 Lower pressure tanks are the best fit for ANG technology because you get a multiple of your conventional CNG storage but you can also increase your storage in high pressure tanks with our adsorbents. Regardless of where or how you need to store natural/biogas Cenergy Solutions’ ANG technology will give you cost effective solutions. Different adsorbents also have varied characteristics that need to be tailored to your individual application. The adsorbents used in vehicles might be much different than adsorbents used for biogas storage. The type of adsorbent, pore size, makeup and particle size are all considered when determining the right system for your storage needs. There are also other considerations that might be important. These are heat management, adsorbent longevity, ANG tank makeup and size, PRDs and Cenergy’s adsorption and desorption systems. The ANG storage system you order will come ready to be incorporated into your application with your specified tube or pipe sizes. We have the necessary valves, filters, PRDs and other equipment needed so that your ANG tanks is ready to install. We can supply one or large quantities of ANG tanks depending on your needs. If you have questions about what ANG conversion system is best for your application contact us. We can help you decide your future ANG storage strategy.